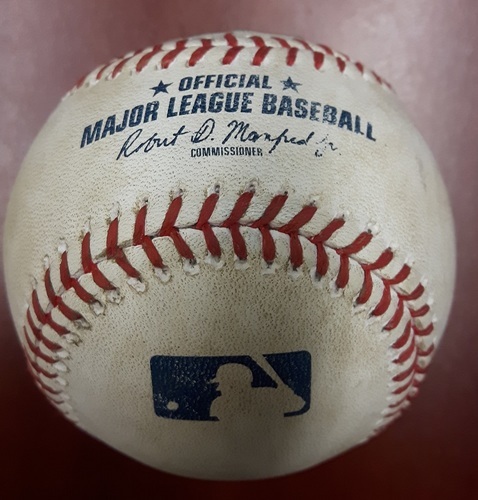 Authenticated Player Collected Baseball - Home Run by #14 Justin Smoak (29th of the Season) vs Cam Bedrosian on July 28, 2017 (Bottom 9). 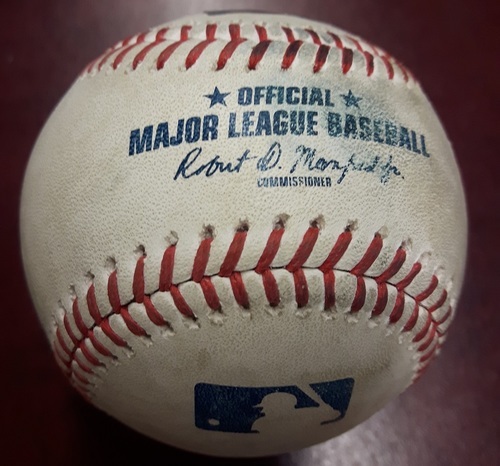 Authenticated Player Collected Baseball - Home Run by Brandon Drury against Marcus Stroman. 3rd Inning. (April 1, 2018). 1st HR as a Yankee. 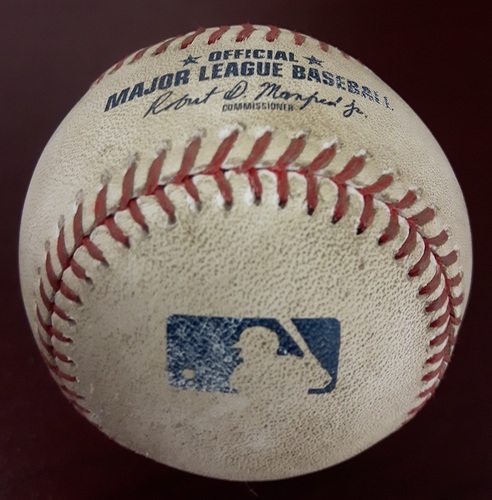 Authenticated Player Collected Baseball - Home Run by Devon Travis (2) against Tyler Skaggs. Bottom 3. May 23, 2018. 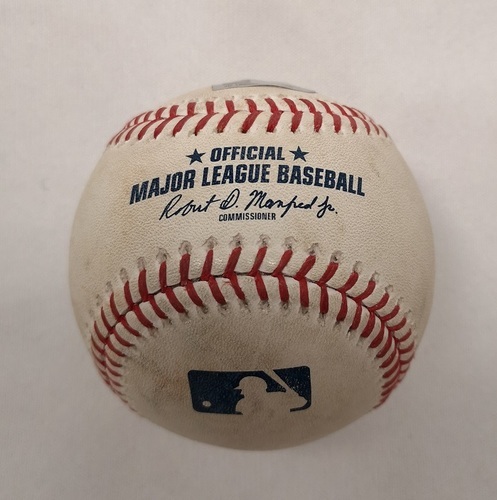 Authenticated Player Collected Baseball - Home Run (5) by Kevin Pillar against C.C. 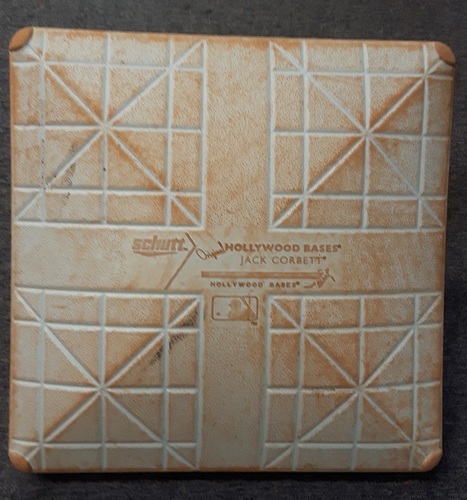 Sabathia (June 5, 2018; Bottom 7). 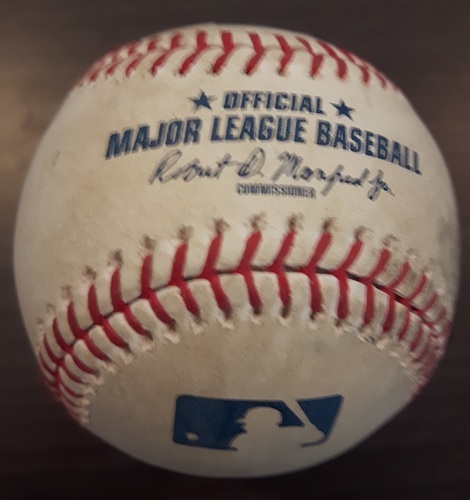 Authenticated Player Collected Baseball - Home Run by Randal Grichuk (4) against Andrew Cashner. Bottom 5. June 8, 2018. 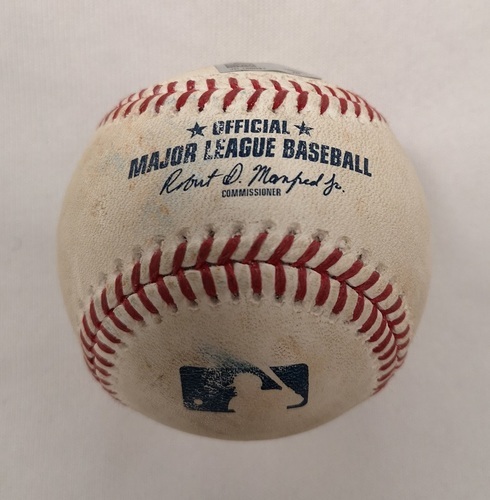 Authenticated Player Collected Baseball - Home Run by Aledmys Diaz (9) against Dylan Bundy. Bottom 3. July 20, 2018. 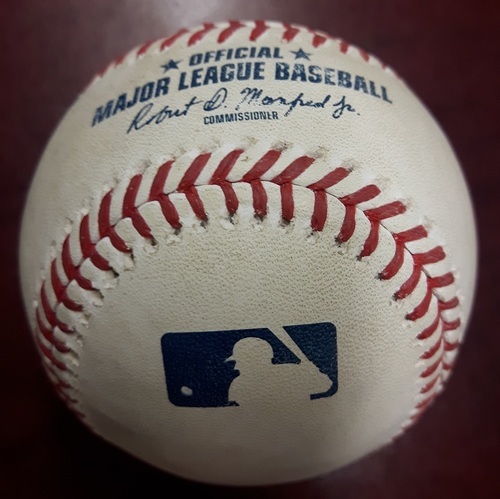 Authenticated Player Collected Baseball - Home Run (1) by Jesus Sucre against Thomas Pannone (September 22, 2018; Top 7). 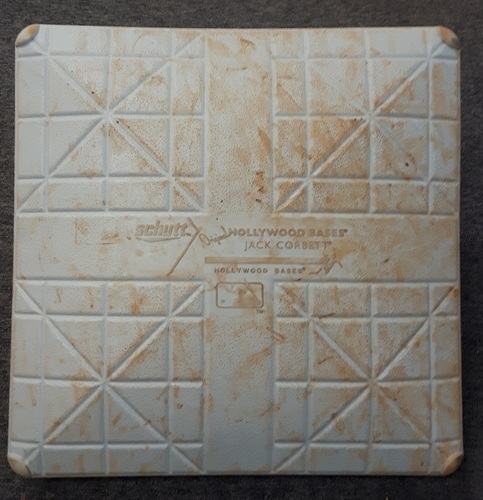 Authenticated Game Used Base - 1st base for Innings 1 to 5: Minnesota at Toronto (August 3, 2015). 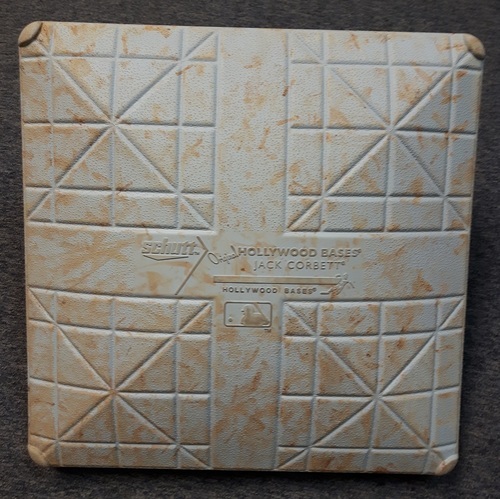 Used for David Price's Blue Jays debut and 1st win as a Blue Jay. 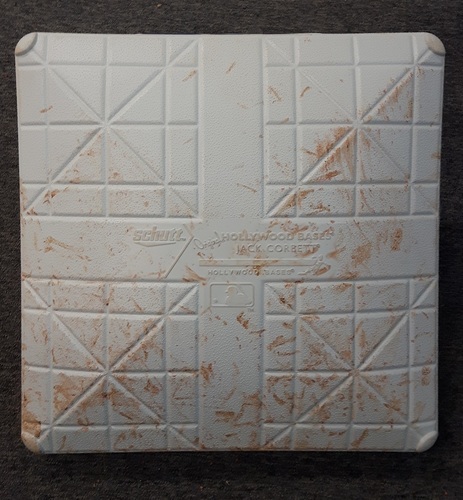 Authenticated Game Used Base - 1st Base for Innings 6 to 9: Detroit at Toronto (Aug. 29, 2015). 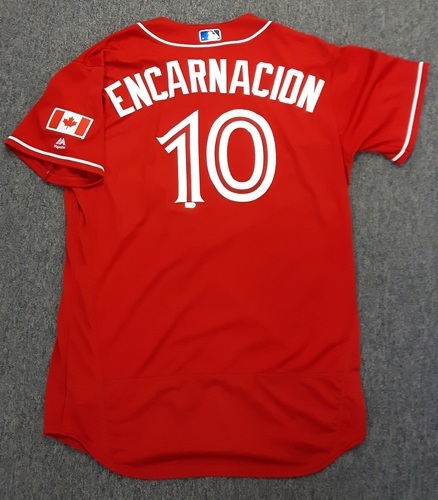 Edwin Encarnacion, 3 Home run game. 2 run HR in bottom of 6; Grand Slam in bottom of 7. 9 RBI game. 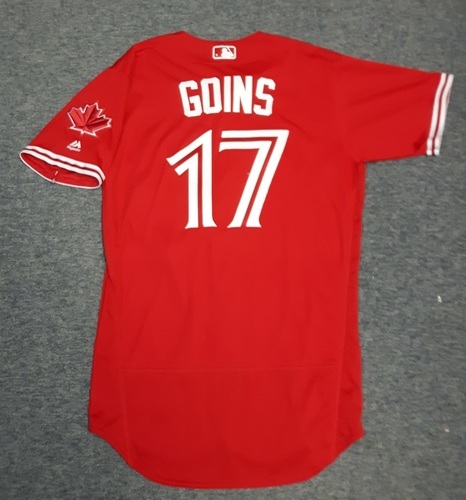 29th Home run of the season. 24 game hit streak. 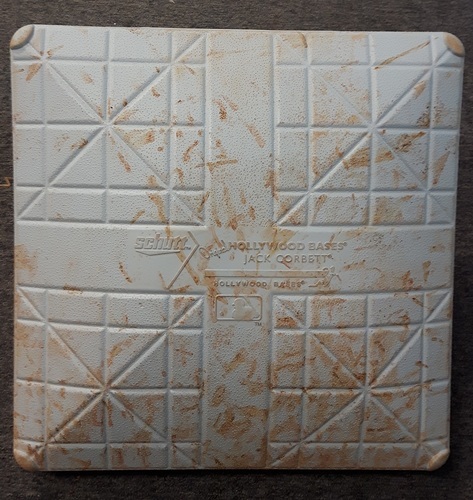 Authenticated Game Used Base - 3rd Base for Innings 1-5: TB at TOR (Sept. 25, 2015).  Donaldson with 40th HR of season and R.A. Dickey's 100th career win. Clinched 1st postseason berth in 22 years. 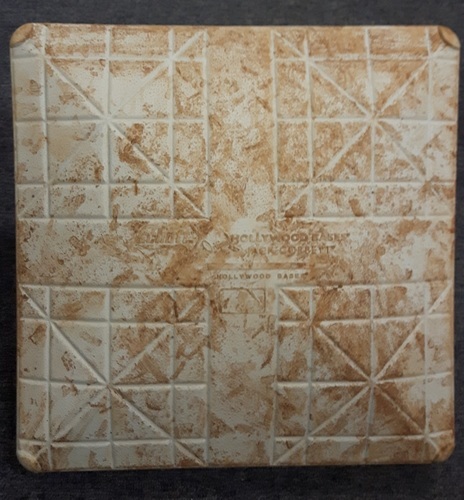 Authenticated Game Used Base - July 29, 2016 vs BAL. 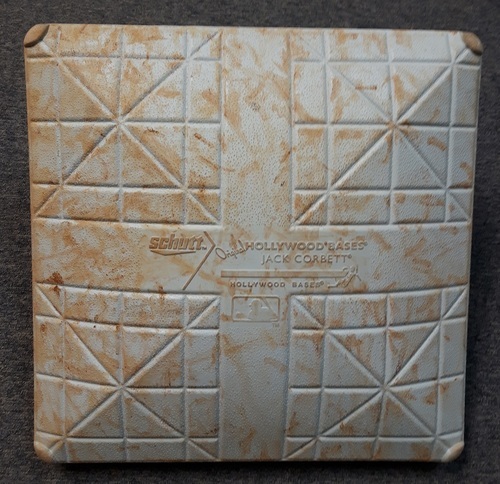 2nd Base for Innings 3-5. 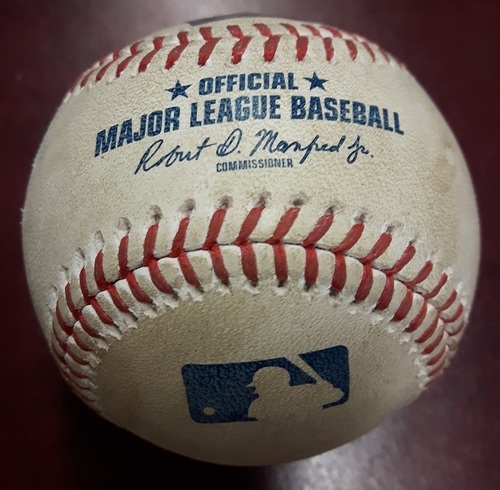 Edwin Encarnacion's 300th career double. 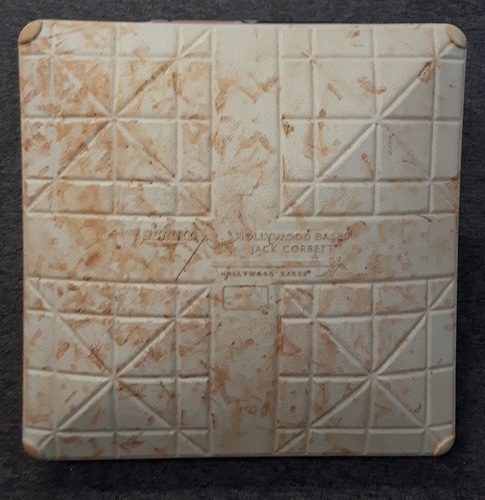 Authenticated Game Used Base - September 11, 2016 vs BOS. David Ortiz's last game in Toronto. Ortiz hit an HR in the 6th Inning. 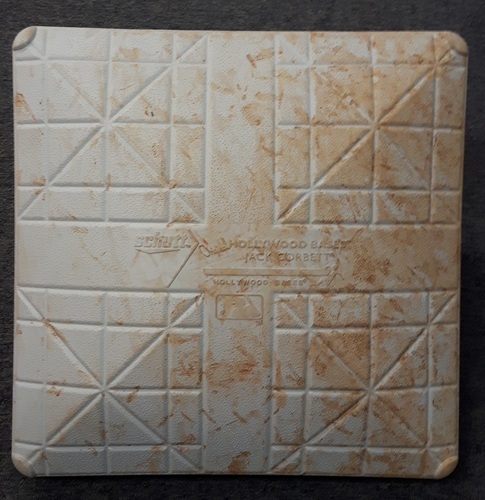 2nd Base for Innings 4 to 6. 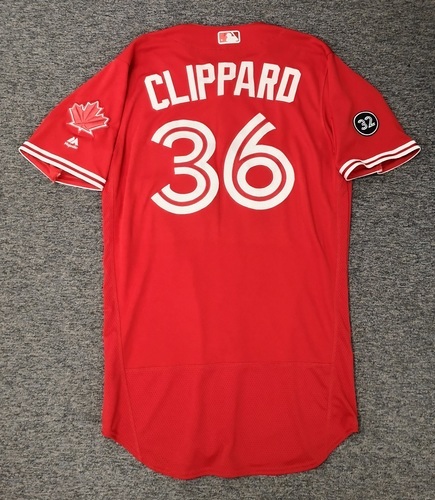 Authenticated Game Used 2018 Canada Day Jersey - #36 Tyler Clippard: July 1, 2018. Size 42. Reference ID: jays36 What’s this? 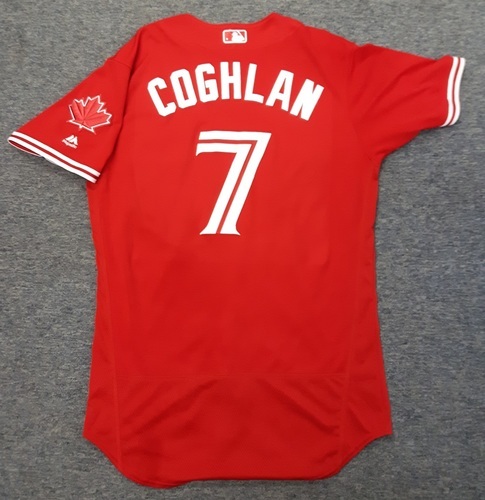 Authenticated Game Used Jersey - #7 Chris Coghlan - April 16, 2017 - 1-for-3 with 1 RBI. Size 44. Reference ID: jays37 What’s this? 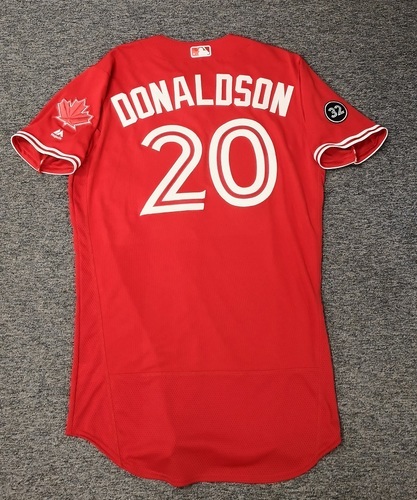 Authenticated Team Issued 2018 Canada Day Jersey - #20 Josh Donaldson. Size 44. Reference ID: jays38 What’s this? Reference ID: jays39 What’s this? 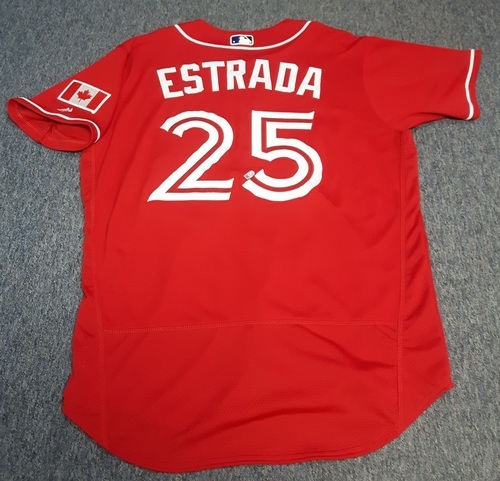 Authenticated Game Used Jersey - #25 Marco Estrada (August 28, 2016 - Canada Baseball Day). Size 46. Reference ID: jays40 What’s this? Reference ID: jays41 What’s this? 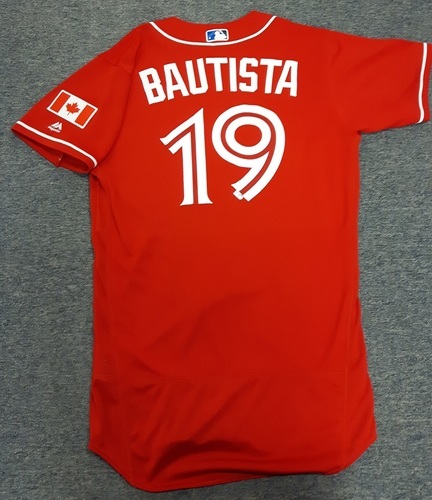 Authenticated Game Used Jersey - #33 J.A. 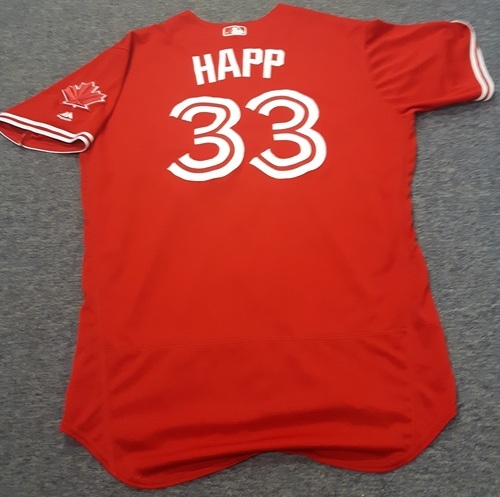 Happ (April 16, 2017: 4.1 IP with 1 ER and 3 Ks. Losing Pitcher. July 1, 2017). Size 48. Reference ID: jays42 What’s this?